Built with a strong steel hull and aluminium superstructure, BIJOUX II is equipped with every possible option required for true global cruising. Her superb construction is married to an e cient propulsion system delivering a 3300nm range at nine knots, with the latest technology creating the safest, near autonomous, on-board experience. Designed by Adam Lay Studio, BIJOUX II’s interior o ers a blend of elegant light and wooden tones through her enviable living spaces accommodating up to 10 guests in four luxury cabins. The main saloon, features large panoramic picture windows, a comfortable seating area and a forward dining area that comfortably seats up to 10 guests. 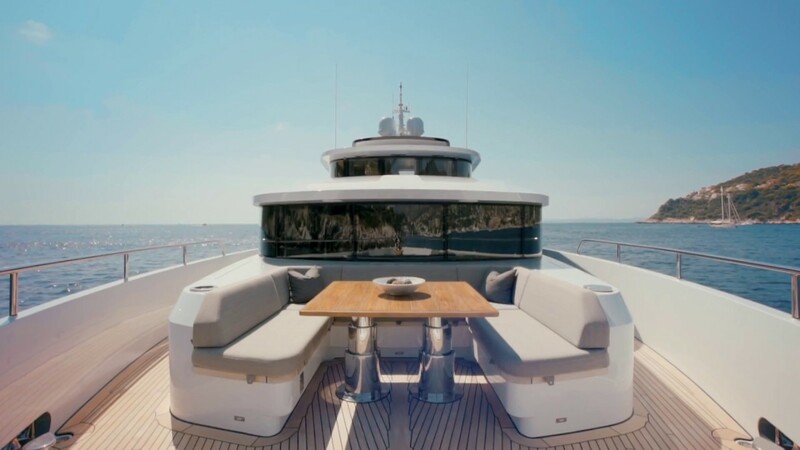 Two glass doors lead to the aft deck where you will nd a seating area for up to ten guests and wide stairs leading down to the very large swimming platform. A great opportunity for a discerning Buyer looking for a Dutch-built yacht of the highest quality in which to go cruising the world’s oceans. For information and/or a private showing, please contact us at +31 73 621 0094 (during office hours) or at +31 6 504 967 32 (mobile). You can also email us at info@moonenbrokerage.com.